A wedding is your special day, and that calls for special luxuries; that’s where Opulence Wedding Car Hire comes in. We arrange everything for your wedding transport anywhere in and around Bolton, so you can completely focus on the day and enjoying the best day of your life. We have a fleet of luxurious, modern cars that can serve as your wedding car. 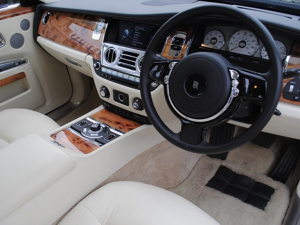 From a Jaguar XJ to a luxurious Rolls Royce Phantom, we have a wide range of wedding vehicles for your very special day. All of our wedding cars are available to hire throughout Bolton and beyond. Your wedding day in Bolton is one of the most precious occasions in your life, filled with cherished moments and memories you’ll keep forever. That’s why our expert team at Opulence Executive Travel pay attention to every detail to ensure your wedding car hire experience with us is positive and enjoyable. Our highly trained, safe and courteous chauffeurs carry out, we think, the very best wedding car hire service in Bolton. They’ll see to your every need to ensure you feel truly special on your wedding day. We pride ourselves on our excellent customer service that is reflected in our drivers. You’ll appreciate their professional and courteous manner, smart presentation and punctuality, to their expert driving skills. They guarantee you a safe, prompt and luxurious journey to your wedding venue anywhere in the North West. There are a number of superb wedding venues in the Bolton area for civil ceremonies and registry office weddings. Travelling on your wedding in a luxury Opulence Wedding Car is not just a journey. It’s an unforgettable experience that will make your special day even more memorable. 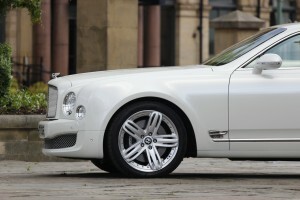 Opulence Wedding Car Hire would be honoured and delighted to be part of your wedding in Bolton, Lancashire. Call us at 08005 202 030 today to book your wedding car.